SSHD (Solid State Hybrid Drive) 1TB SSHD (5 x faster speed than normal PC / Laptop). SSHD HARD DRIVE. 1TB SSHD 5 x faster (reading & writing) than normal PC / Laptop. 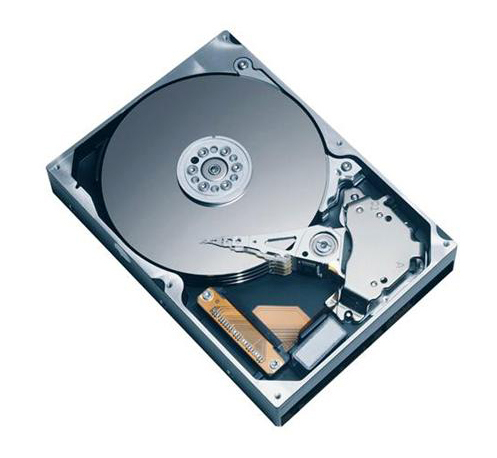 SSHD (Solid State Hybrid Drive) SATAIII 6.0Gb/s DY DY-01092015. Condition: New: A brand-new, unused, unopened, undamaged item in its original packaging (where packaging is applicable). Packaging should be the same as what is found in a retail store, unless the item is handmade or was packaged by the manufacturer in non-retail packaging, such as an unprinted box or plastic bag. See the seller's listing for full details. 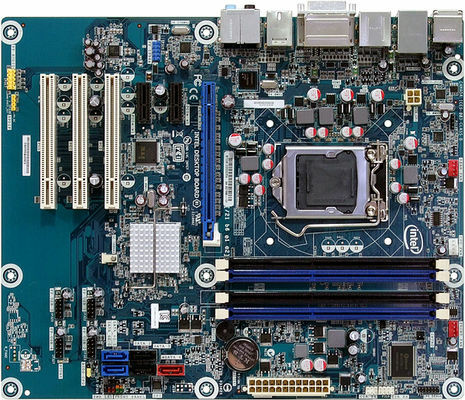 INTELDZ68/DH67 Chipset , Supported CPU: Core i7 / i5 / i3 (LGA1155), Chipsets North Bridge Intel Z68/DH67, Support Number of Memory Slots:-4×240pin - Memory Standard- DDR3 1600/1333/1066, Maximum Memory Supported= 32GB, Channel Supported:- Dual Channel, Expansion 1 Slot - PCI Express 2.0 x16, PCI Express x1= 2 , PCI Slots= 3, Storage Devices- SATA 6Gb/s x 4, SATA 6Gb/s x4, Onboard Video Chipset= Supported only by CPU with integrated graphic. Onboard Audio- Audio Chipset= Realtek ALC892, Audio Channels- 8 Channels. Onboard LAN Chipset- Intel 82579V. Max LAN Speed=10/100/1000Mbps, Rear Panel Ports: Video Ports:- DVI, HDMI, DisplayPort, USB 1.1/2.0 x6, USB 3.0 x2. 1 x IEEE 1394a, eSATA= 1 x eSATA 6Gb/s, PDIF Out= 1 x Optical, Audio Ports= 5 Ports. 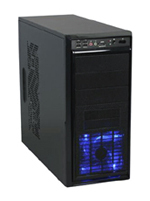 Physical Spec- Form Factor:- ATX, Dimensions:- 12.0" x 9.6". Onboard network interface Gigabit LAN connectivity. The Gigabit (10/100/1000 Mbits/sec) LAN subsystem using the Intel® 82566DC Gigabit Ethernet Controller interface delivers a high speed LAN connection with data transfer rate up to 1000Mb/s, providing new generation connectivity for the broadband era. Gigabit LAN is ideally for seamless internet connection such as streaming audio and video contents. (Network Interface Card) for Internet DSL/Cable Ready for RJ-45 interface DSL/Cable External Modem, DSL/Cable Router, or DSL Pipe. On-Board- HD Audio Audio Channels: 10-channel (7.1+ 2 independent multi-streaming) audio subsystem using the Realtek ALC892* audio codec (Compatible to hook up 5./6.1/7.1 Surround Speaker). Five analog audio ports and one optical S/PDIF out port. Internal S/PDIF header and front panel audio header. (100 - 240 V ). Connectors 1 x Main connector (20+4Pin), 1 x 12V(P4), (5) Molex 4-pin Connectors; (1) Floppy 4-pin Connector; (3) Serial ATA Connectors , (1) PCI Express 6-pin Power Connector. Software Includes: Nero burning. Microsoft (Anti-Virus) Security Enssential, Recovery & Back Up Software. Also Included (Easy One Click System Restore) Disc. 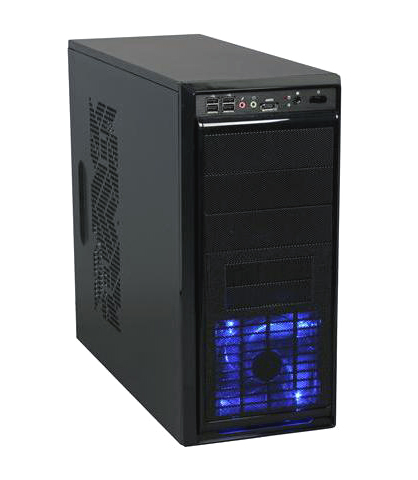 This system is INCLUDED an Operating System (Windows XP Professional 64bit) by default or Win 7 / Win 10 (Your Choice) as specify. The OS is already installed with all software and drivers and will be fully tested and configured ready for your use. Also Included (Easy One Click System Restore) Disc. Note:- *Due to the operating system limitation, the actual memory size may be less than 4GB for the reservation for system usage under Windows® 32-bit OS. For Windows® 64-bit OS with 64-bit CPU, there is no such limitation.